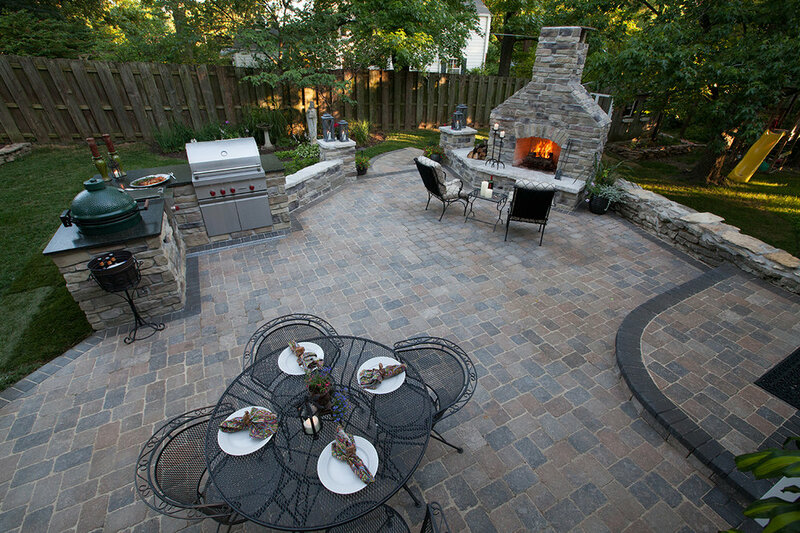 We discussed all of the various options and features you can add to your outdoor kitchen, but there’s really no limit. If you run a gas line to your kitchen, think about maybe having a fire feature that comes out of your counter top or incorporate a fire pit into the setup. How about a roof over your cooking area so you can utilize it in all weather conditions; or do a pergola over head to allow some sun coverage but allow some sun as well. The options are endless, start planning your project today and come visit one of our showrooms so we can help you select the right material!